Born February 19, 1991 – Passed away January 28, 2019. 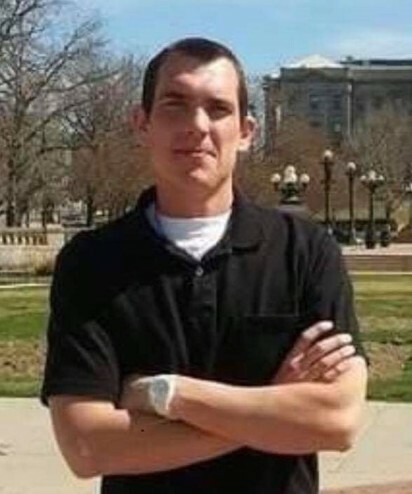 Bryce is survived by father Ron Tyson, brother Branden Tyson both of Longmont Co. Step-brother Tyler Mellecker of Firestone Co. Grandparents Marvin & Celia Tyson, and Dwight Mellecker all of Longmont Co. His Girlfriend Jessica Silva of Berthoud. Other relatives include Mark Tyson, of Boulder Co. Paula & Mark Heinly of Monroe Ohio, Tammy & Mark Nichols of Seneca S.C. And several cousins. Bryce is preceded in death by his mother Tina Tyson.